British music troupe Piano Magic is one of hard-to-classify bands – since their music contains bits of ambience, rock and anything in between, its no wonder that they were called anything from post-rock to ambient pop to indietronica. Piano Magic was formed in the mid 90s as a band with a small nucleus of core performers and various contributors changing from album to album. Glen Johnson is the only remaining member of the original line-up. Originally, the band also refused to play live, but eventually gave in to label pressure. Their live performances, however, sounded nothing like their recorded material. Their debut album – “Popular Mechanics” came out in 1997 and was described by press as “silly noises” and “ethereal electro pop atmospheric soundscapes”, while the band itself described it as “Small beat, pre-chip…radiophonics”. 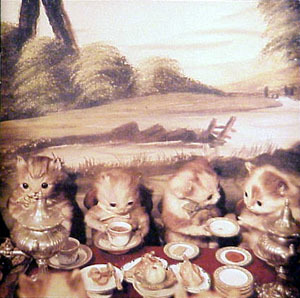 Their next record – 1998 “Low Birth Weight” was described as “dreamy, trance and organic psychedelia”. They toured Germany, Holland, Italy, Belgium, France and continued releasing records at a steady pace – 1999 brought guitar-oriented “Artists Rifles”, while in 2000 the band signed to 4AD label and released “Writers Without Homes”, one of their most acclaimed records, which featured vocals of 60s/70s folk singer Vashti Bunyan. They also recorded a haunting soundtrack to “Son De Mar” – a movie by Spanish director Bigas Lunas. 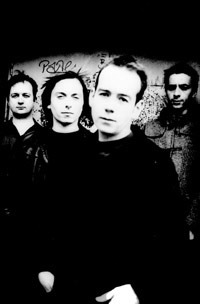 Their further musical output featured even more contributions from guest musicians – 2003 “Saint Marie” EP once again featured Bunyan, as well as Alan Sparhawk (Low) and Ben Ayres (Cornernshop), while 2005 “Disaffected” featured vocal contributions from members of Czars and Klima. Beyond full-lengths, the band also released plenty of singles and EPs, including 1996 “Wrong French”, 1997 “Wintersport”, 1998 “Music For Annahbird” and 2005 “Open Cast Heart”. They also released “Mort Aux Vaches” – part of the series of live recordings done by various artists for Dutch radio station VPOR. Band members also have a number of solo/side projects – Glen Johnson recorded as Textile Ranch and he was also in Future Conditional with Cedric Pin, another PM member. Dominic Chenell recorded as Dominic DeNebo as a member of Carphology Collective.